The Power Rangers are set to return to the big screen - two decades after their last movie flopped at the box office. 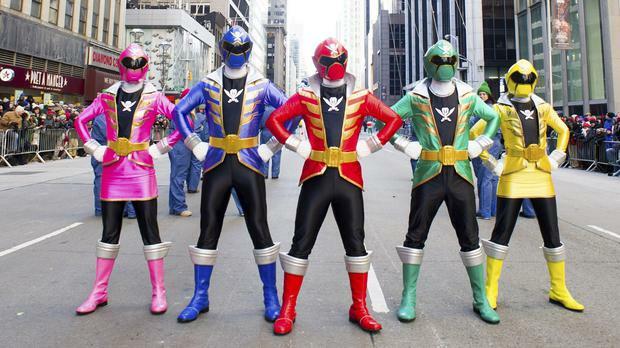 An American remake of Japanese series Super Sentai, Power Rangers became a hit TV show in the 90s, featuring a group of young people, trained by a mentor to become martial arts superheroes, called upon to save the world. Lionsgate Entertainment has announced it is partnering with Haim Saban's Saban Entertainment to produce a live-action feature film based on the show. Saban said in a statement that Lionsgate, the maker of young adult blockbuster series Twilight and The Hunger Games, is the "perfect home" for the Power Rangers. Known for their chant "Go, go Power Rangers", through their many series the superheroes often channelled the power of animals or dinosaurs, and used giant machines to fight alien enemies. The last time the morphing teenage characters appeared in a movie was 1997 for Turbo: A Power Rangers Movie, which grossed a dismal 8.1 million dollars (£4.7 million) in the US. By Alex Green, Press Association The official James Bond social media accounts have posted a photograph of a beach – a possible hint at the location of where a cast announcement will be made today.